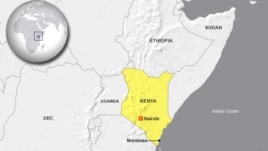 A Human rights organization says thousands of people in a poor district on the outskirts of Mombasa, Kenya, face serious health problems from toxic lead at a former battery recycling plant. The group says at least three workers at the smelter have died and more than 3,000 people are affected by contamination. As Kenya hosts the first U.N. 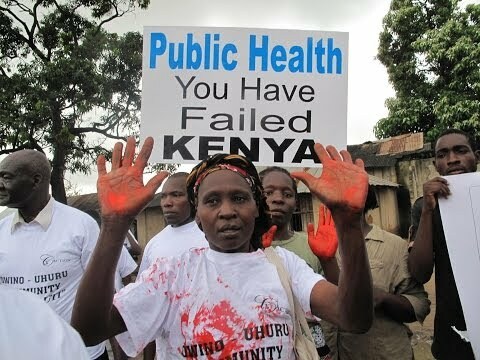 Environment Assembly attended by global environmentalists, government officials and lobby groups – a community in Kenya’s second largest city, Mombasa, is facing health and economic challenges from poisonous lead. Speaking in Nairobi, Human Rights Watch senior environment researcher Jane Cohen said a whole community is under threat because Kenyan authorities have not acted to enforce the law. “It should not go unnoticed that not far away from Nairobi, the situation in Owino Ohuru Community, which is a tragic example of what happens when economic development is unregulated,” said Cohen. At issue is a battery recycling plant that opened in 2007. The New York based Human Rights Watch says the plant closed its operations earlier this year and moved elsewhere, but the lead remains in the community and needs to be cleaned up by the government swiftly. A former office worker at the plant, Phyllis Omido, started organizing protests and writing to relevant authorities asking to move the plant or shut it down. She said she started her campaign after her son got sick and doctors confirmed he had lead poisoning, a devastating neurological illness that causes severe developmental problems in small children and broader health concerns in adults. Omido said her campaign was able to prove the battery plant was the source of the contamination. Human Rights Watch says a government investigation in 2009 found the battery plant had violated regulations. The smelter was briefly shutdown and reopened, but environmental activists say the problems were not addressed. Former plant workers said they had no protective clothing or gear to deal with the poisonous lead. Human Rights Watch notes Kenya has strong environmental laws to protect its citizens, but they need enforcement.